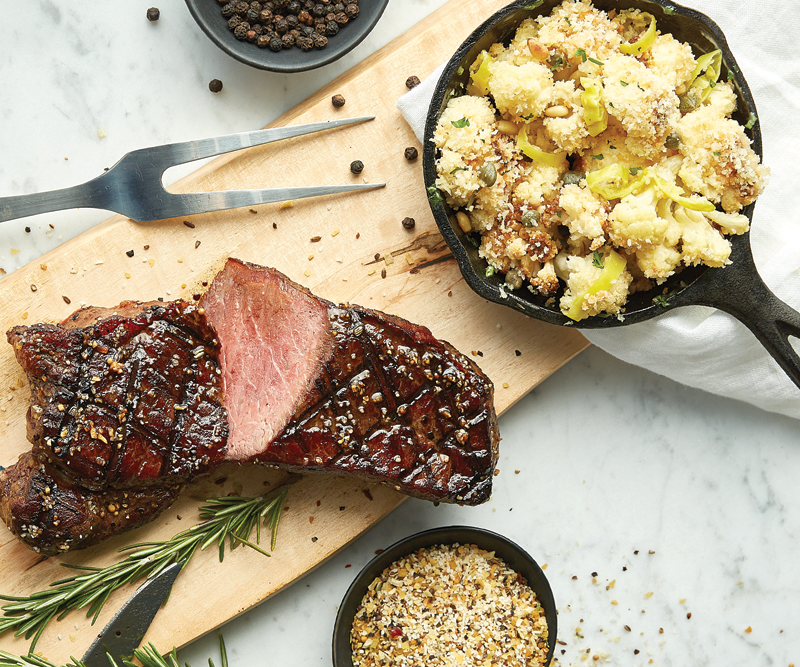 The Art of Grilling has arrived at BRIO Tuscan Grille just in time for National Grilling Month. 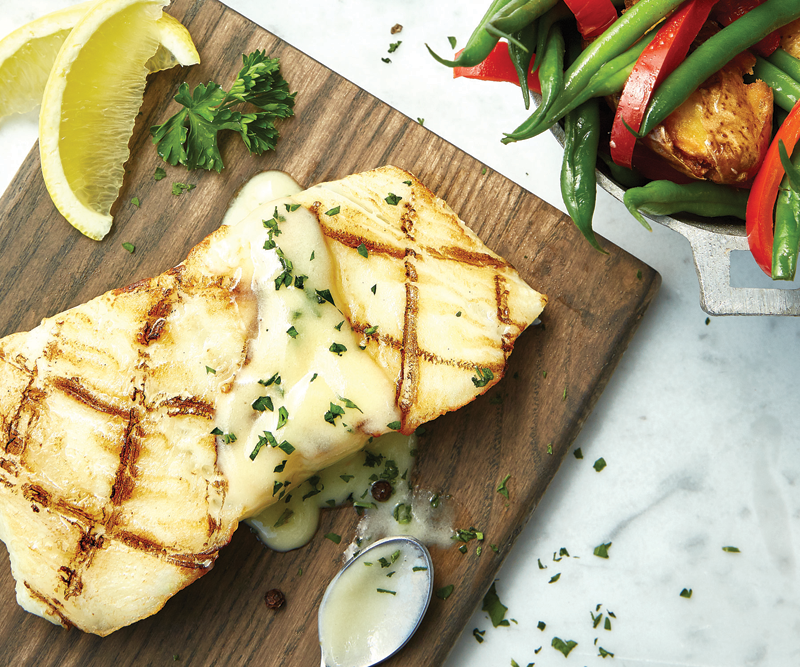 BRIO Tuscan Grille showcases its mastery in the “Art of Grilling” with a summer promotion featuring grilled steak, pork or fish plus a starter and dessert for $27.95! 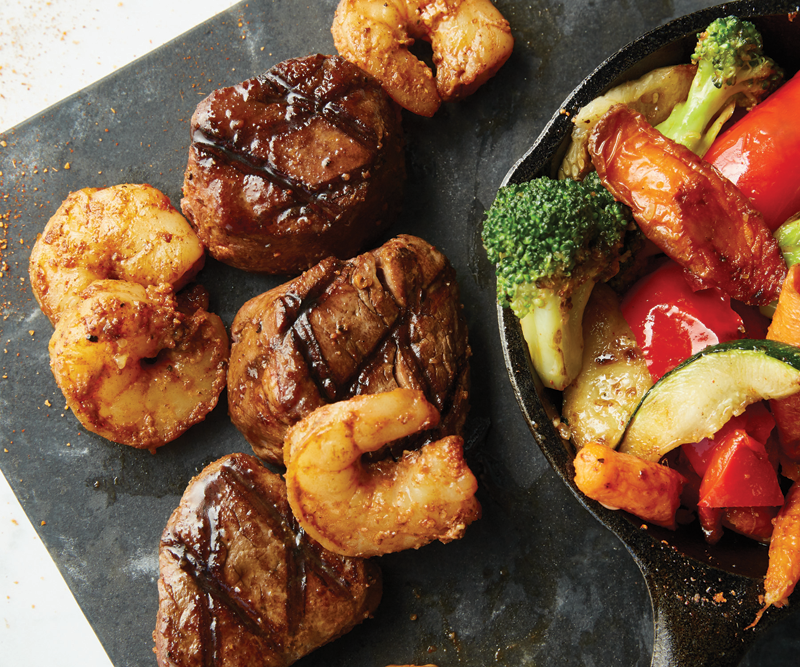 The promotion runs now through August 21, 2016 and is available seven days a week during dinner. 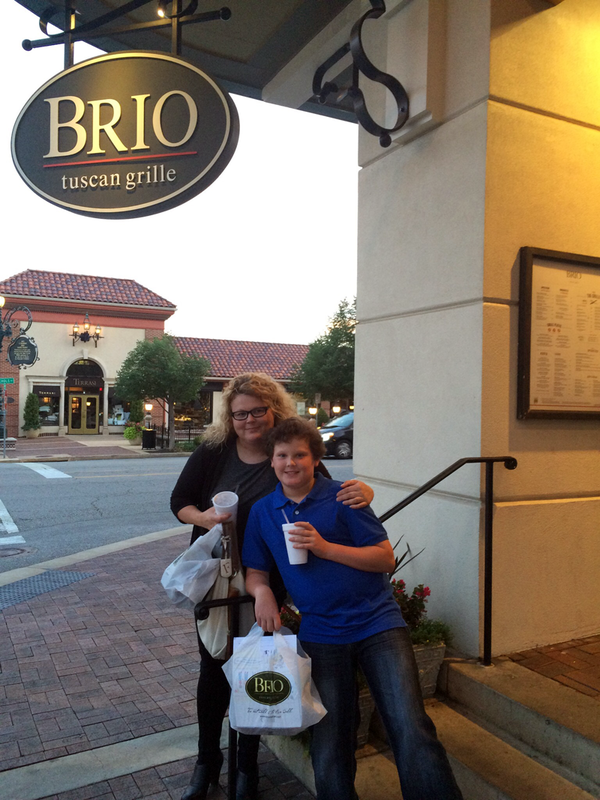 We got the opportunity to experience The Art of Grilling at our local BRIO Tuscan Grille on the Country Club Plaza in Kansas City. 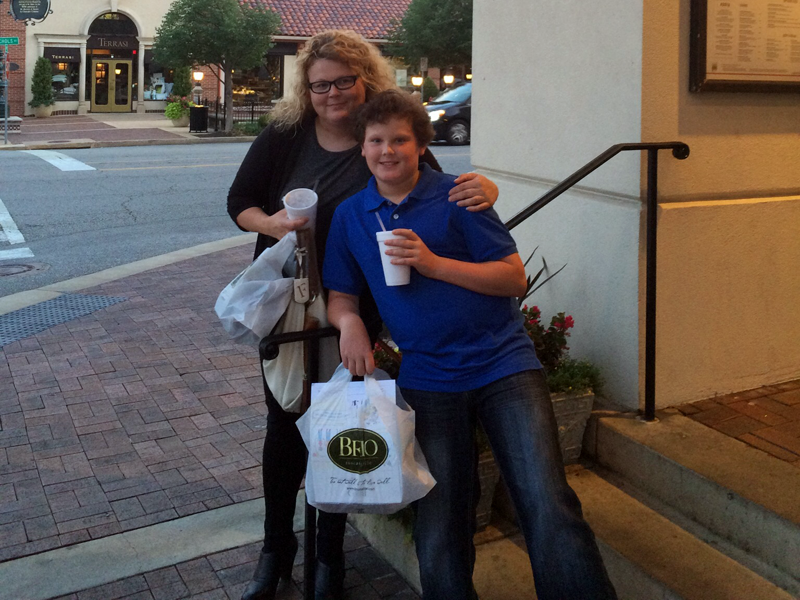 My mom and son joined me for this delicious treat and experience! Our waiter was unbelievable and made it a very memorable experience. He even brought my son dough so he could make his own creation to be cooked and enjoyed. It was very special for my son! He made a cat, of course! I selected the Lobster Bisque soup. I normally do not select soup at a restaurant but this soup was creamy and delicious. I absolutely loved the sautéed shrimp garnish and lobster. 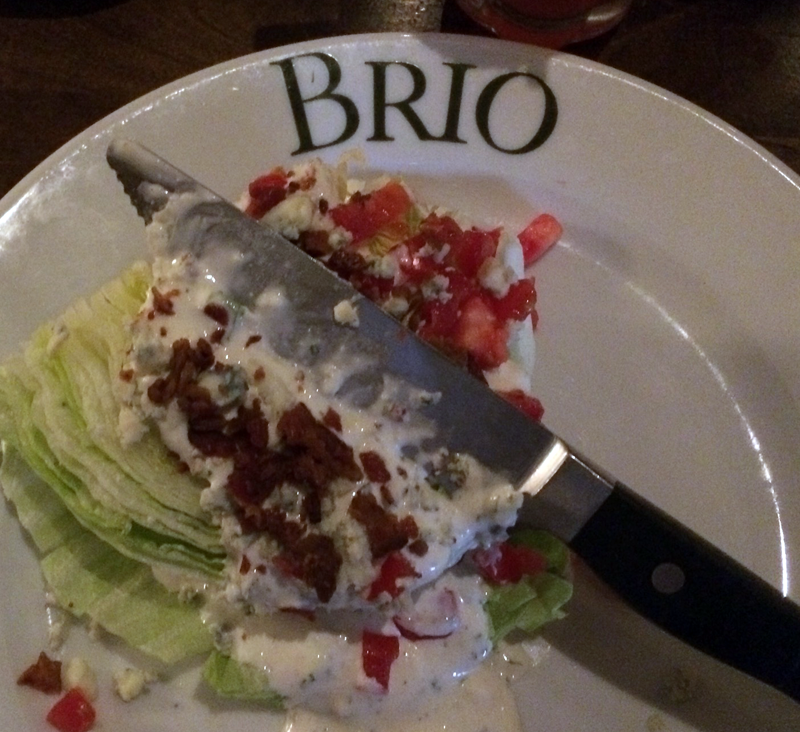 My mom chose the BRIO Chopped Salad which she loved. The chef came out to explain each dish to us. 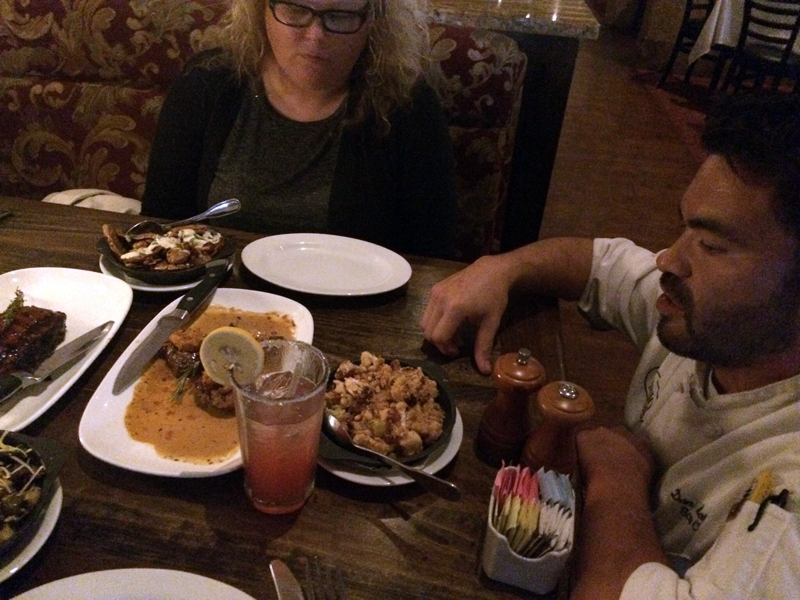 He was just as heavenly as the meal… so nice and wonderful sharing each dish with us! and Strip Steak. Both excellent choices! I can’t wait to try the other entree selections. The chef brought us a selection of Fingerling Potatoes BRIO, Maple Balsamic Brussels Sprouts, Sicilian Cauliflower and Yukon Gold Mashed Potatoes so we could taste each side. All of the sides were delicious but the cauliflower and mashed potatoes were our favorites! A delightful way to conclude BRIO’s grilled meal is with the Roasted Strawberry Shortcake, featuring buttermilk gelato, a sugar cookie scone, roasted strawberries and fresh mint, for only $3.95. 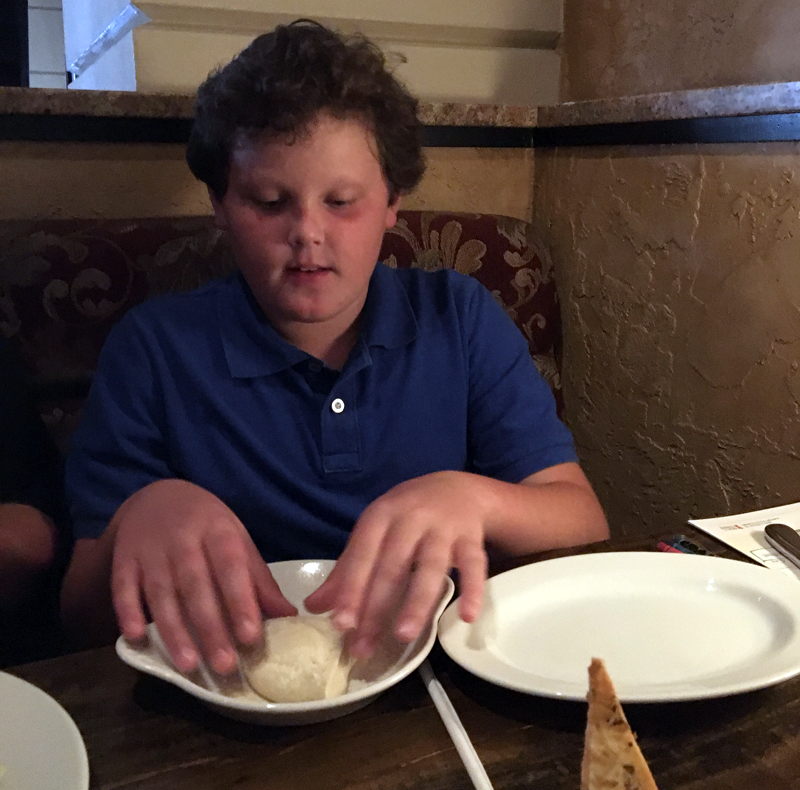 No meal at BRIO Tuscan Grille is complete without dessert! 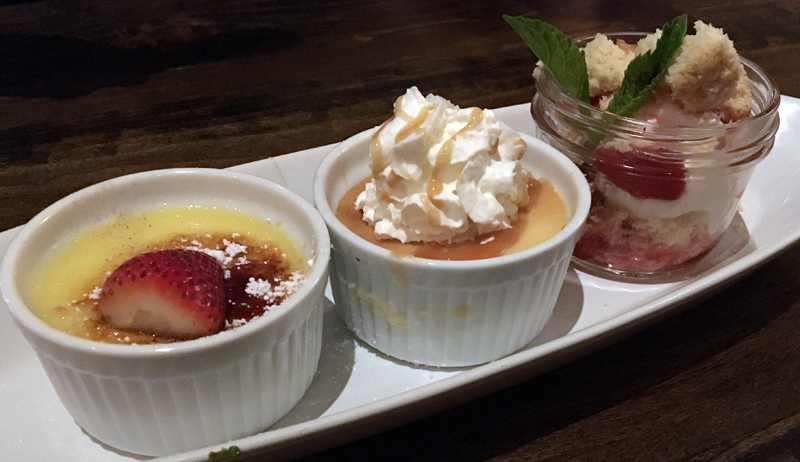 The chef made us a trio of desserts to try including Creme Brulee, Roasted Strawberry Shortcake and Caramel Mascarpone Cheesecake. The ideal complement to The Art of Grilling is an exquisite selection of wines. True Grit Cabernet (Mendocino, California) ($10.95 per glass) and Parducci Small Lot Chardonnay (Mendocino, California) ($9.95 per glass) are both excellent accompaniments to BRIO’s grilled dishes. At BRIO, we are very proud of our grilling expertise and prepare the highest quality beef, pork and seafood using time-honored Tuscan techniques,” said BRIO Culinary Director & Chef Alison Peters. 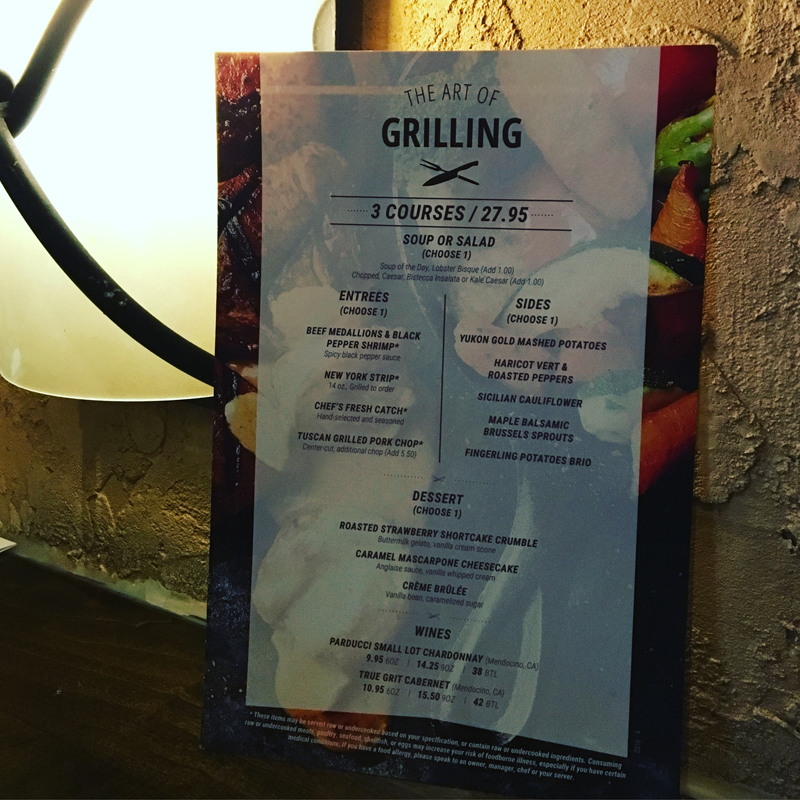 “The Art of Grilling promotion gives our guests the opportunity to try some of our new grille-inspired dishes at a great value. 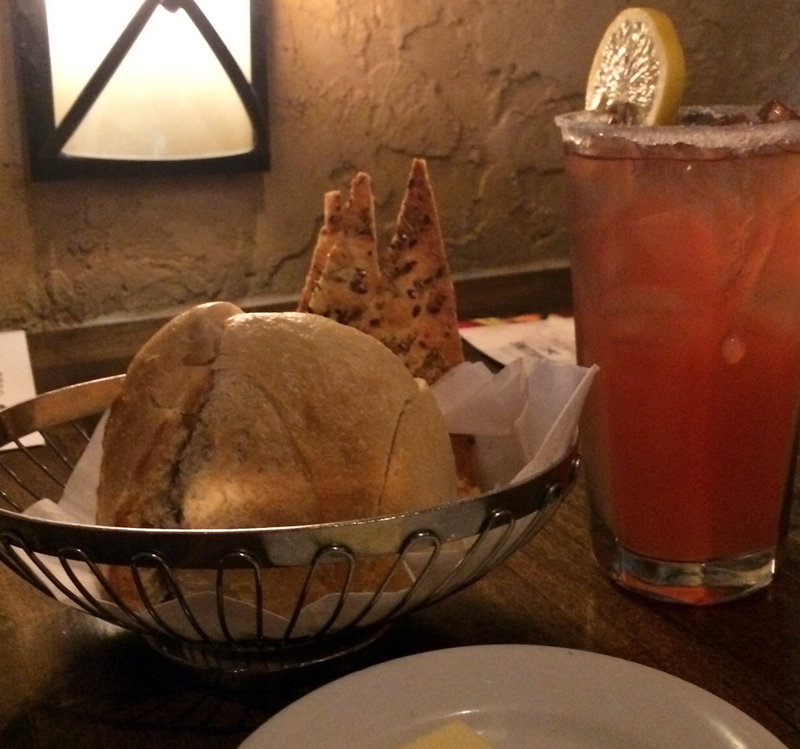 What are you looking forward to trying as part of “The Art of Grilling” promotion at BRIO Tuscan Grille? Comment below and share with us!